Our event of the month for January is our fantastic CSI Investigate. 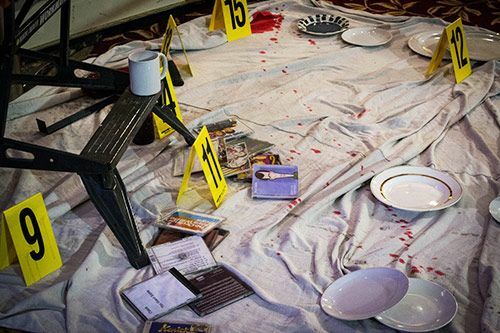 Put yourself in the position of a crime scene detective for the day and see if you and your team can conclude the case and find the correct killer or killers. A crime has been committed and the suspected criminals have been arrested and it’s your job to pick up the tools and finish the case. 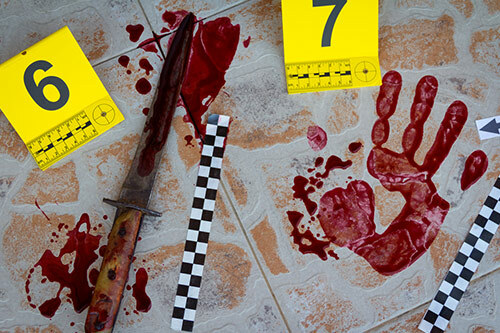 Teams will be racing against the clock to find out the truth behind the crime scene and eliminate any wrongly accused suspects by learning a series of investigation skills. This event will take everyone right out of their comfort zones and thrown straight into a challenging case. The CSI event is an extremely fun event for all and makes for a brilliant bonding session for the team. Prepare to learn new skills, be inspired, entertained and pleasantly surprised when you crack the case. The session will start with an introduction and briefing, shortly after this you will get stuck into a variety of activities such as: Television appeal, blood splatter analysis, witness statements, finger printing and many more. We can make the challenge relevant to your company, and some colleagues can even be the suspects if you want to throw in a couple of surprises.